/f top will be counted on Thursday evening. ANNOUNCEMENT Merry Christmas & Happy New Year! As the calendar rolls over to 1st of January around the world, I would like to take this time to wish the entire community a very Merry Christmas and a Happy New Year & Happy Holidays! Hopefully Santa has stocked the Christmas Tree well and you all get to spend some good times with friends and family. We thank all of you for making this year the best year we have ever had! We hope 2019 will be even better. Happy holidays from EarthLordPvP Team! We are looking foward to 2019. Hello! I'm here to bring you a list of the most recent changes to the servers. Please report any bugs or suggestions to any staff members. There has been a huge change done with the server, please read all of them below. Any and all placement and or breaking of blocks beyond the border is prevented. Any use of blockflow(water/lava) and use of blockflow buckets beyond the border is canceled. 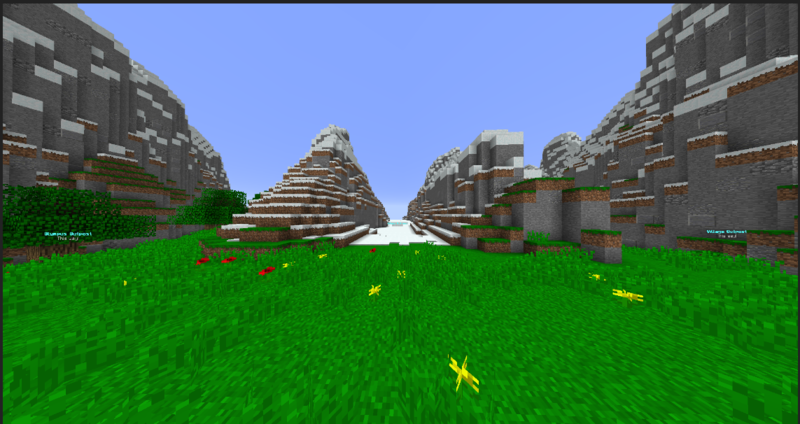 *TNT and Entities within the border automatically despawn. Stops Falling Entities within the border. You cannot enderpearl outside of the world border. When a TNT cannons shoots it will delete certain items(Cactus, Fences, Stained Glass Pane, Thin Glass, Sugarcane) in its path. Hello hello, summer went by so fast, it's already September! We have lots planned for the this month. We will be working on fixing all bugs, adding all community suggestions and making this server a very amazing place to be. 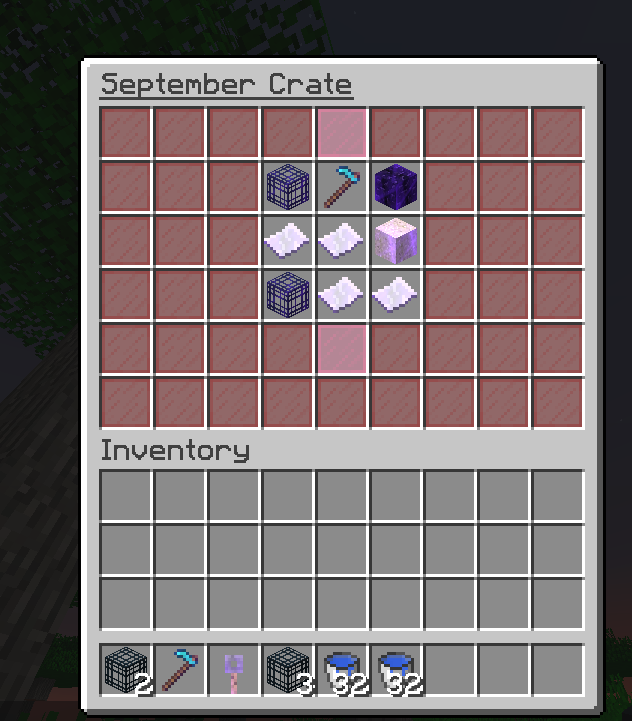 We have added a new monthly crates system, every month there will be a new crate added. These crates can be bought off the store and can be won out of events & more. 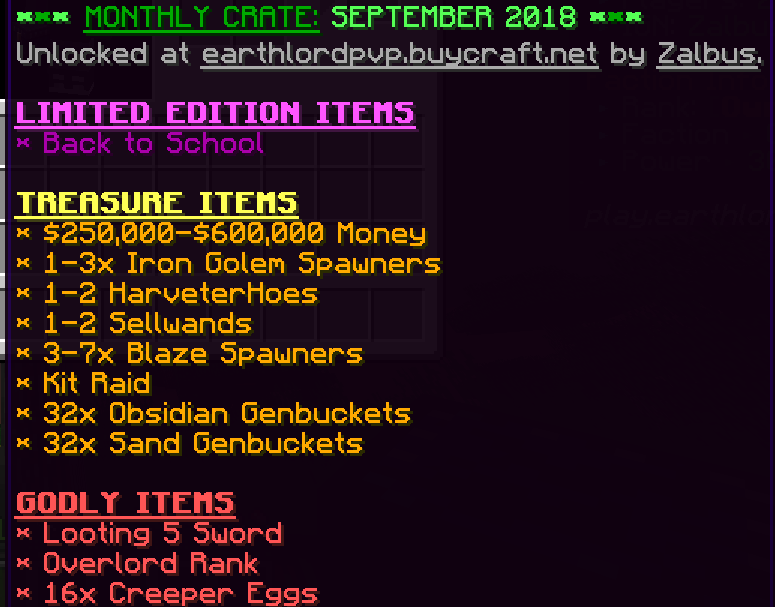 These crates contain very amazing loot that make them very worth it and very valuable to have. Over the following weeks of the remaining summer, we have some big updates planned including a 50k YouTuber streaming on the server this weekend to grow it! #HYPE We are now officially back better than ever. Let's create the next big thing together! Outposts are now easier to find, all you have to do is do /warp outpost and follow the path to whatever outpost you want. We have also fixed outposts so you cannot sethome on them (meaning you have to go to /warp outpost everytime you want to go to your outpost) giving the invaders some time. It's another month! We have some big plans for the rest of this summer starting with some basic fixes. We would like your feedback with suggestions or bug reports as much as possible! Please report any bugs or any suggestions you may have right away! Winners, please DM me to redeem your coupon code. 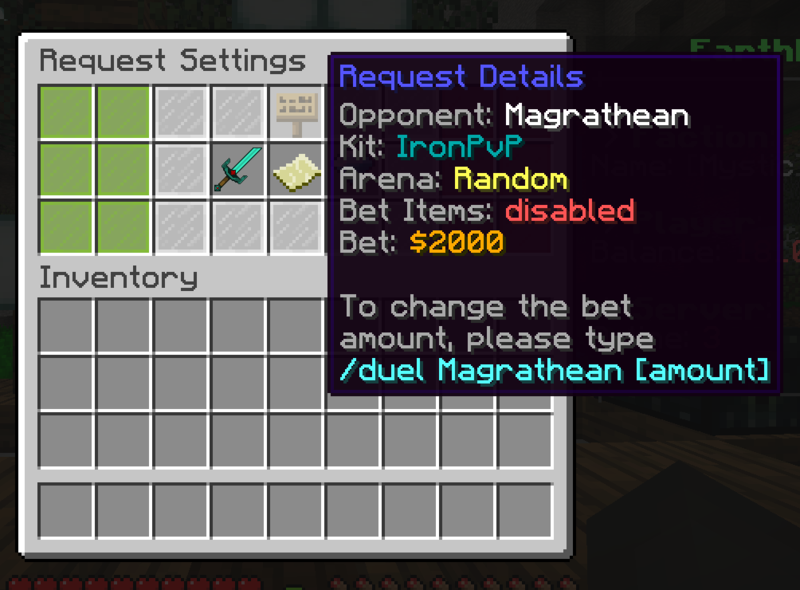 We have completely revamped duels. The duels system now has so many new features that will be very hard to list them here. We have tested all the features & they should all be bug free! This has been suggested a few times in the past & it has been added. You can now bet money when you are dueling any player on the network. To bet money use /duel (Player) (amount of $) You can also bet items as the winner will get that item. You can also have a random map or select any map you want. Elo rating is now a feature that has been requested a few times. Find who is the best at a certain kit!